Xtreme Products has again created a winner. 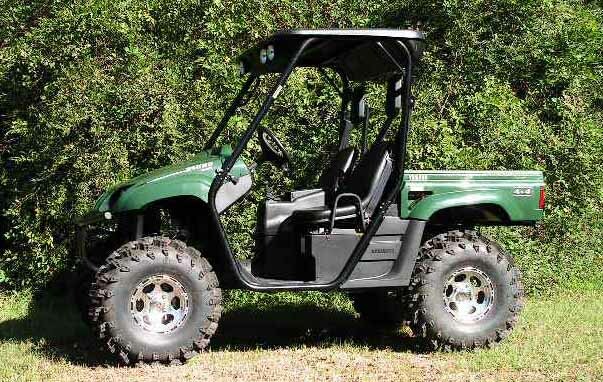 The new Yamaha Rhino 3” lift systems are a must have for the serious rider. 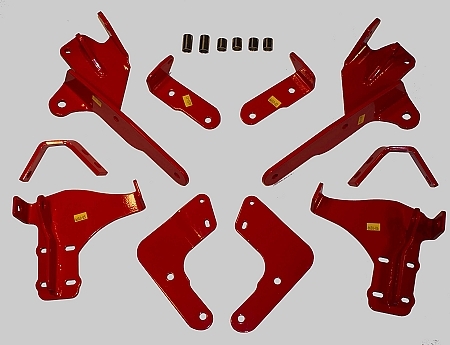 Xtreme Products’ lift system relocates the suspension attachment points to completely revamp the bike. You get a firmer more stable ride and handling is improved. The use of aftermarket axles is not required. All parts are laser cut, cold roll steel, for that perfect fit and powder coated for durability. Precision design and engineering insures a perfect fit and all components are individually labeled making for quick easy installation. 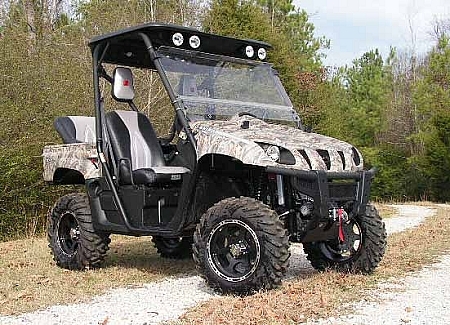 If you own a Yamaha Rhino and want to step up, do it with a Yamaha Rhino 3" lift system from Xtreme Products. All parts are laser cut from 3/16 inch cold roll steel for strength and zinc plated for long life. All components are individually bagged for each wheel and precision engineering insures a perfect fit. Xtreme Products has set the standard for others to copy. Laser cut from 3/16 inch cold roll steel. Zinc plating for maximum durability. Increases ride height and tire clearance. All components individually bagged for each wheel. Q: will this kit work on a 2008 sports edition with factory nitrogen shocks ? Q: Will this kit fit a 2006 with the first style braces across the back under the bed? A: Yes it will fit your model. Q: How much of an angle does this kit put the CV's on? do you need to lower the diffs to try and correct the angle so you don't end up blowing CV's all the time? A: Any time you lift your machine you are putting additional stress on your CV's. That being said, we have sold many of these kits for the Rhino and it hasn't been problematic for our customers. We haven't heard of any issues with this kit installed. Q: I have a 2015 Massimo, I am told it is the same as a Rhino and that all parts are interchangeable. do you offer a lift for this vehicle? and how much would it cost for the 3"
A: We have not tried this lift kit on a Massimo so we don't know. I called the mfr. and they don't know either. You would just have to try it. If it doesn't work you can return it for a refund.